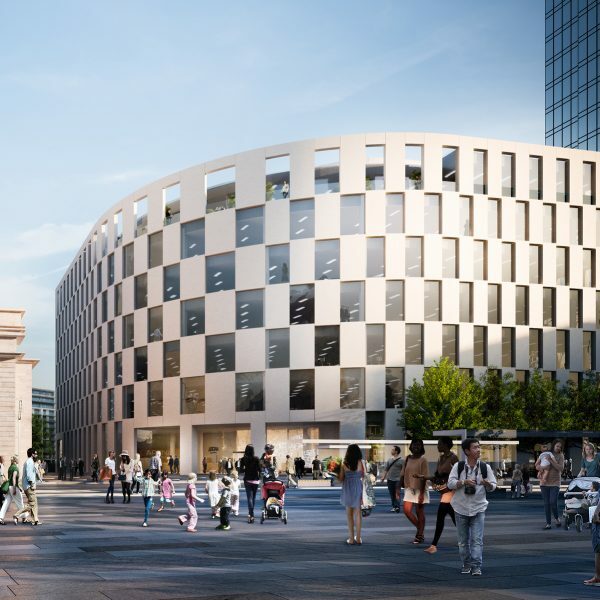 1 Centenary Square is a statement 210,000 sq ft office building designed by award-winning architects MAKE. 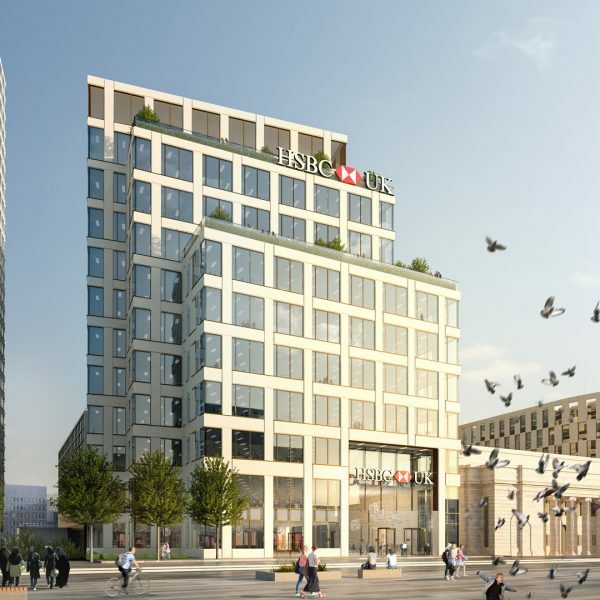 In 2015, global bank HSBC announced that it would forward-purchase the full building as the head office of its UK ring-fenced bank serving personal and business customers, under the HSBC UK brand. Formerly 2 Arena Central and renamed 1 Centenary Square by HSBC, the building occupies a prominent position overlooking Centenary Square to the front and the new Arena Central public realm to the rear. 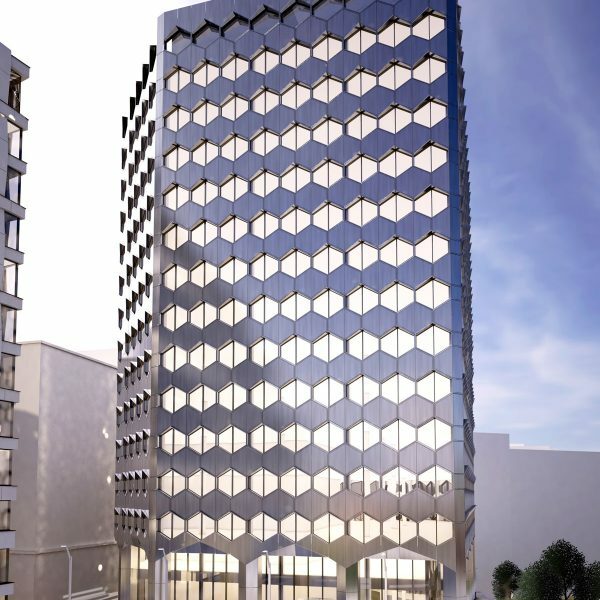 The target BREEAM Excellent and LEED Gold office space will offer efficient floorplates of up to 21,903 sq ft over ground and ten upper floors. 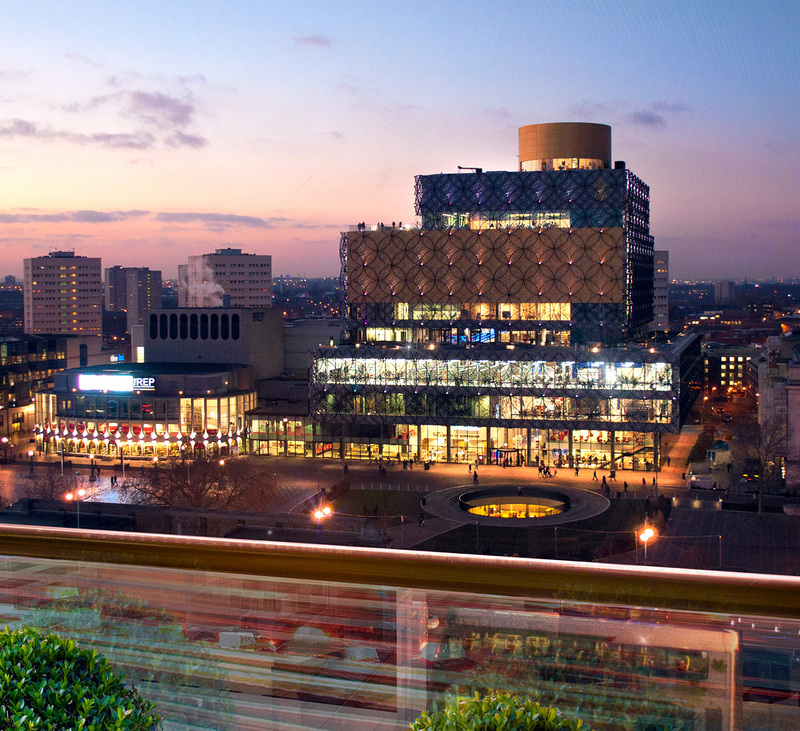 Designed as three interlocking ‘blocks’, 1 Centenary Square features two offset balconies, providing outstanding views across the site’s new extensively landscaped public realm and Centenary Square. 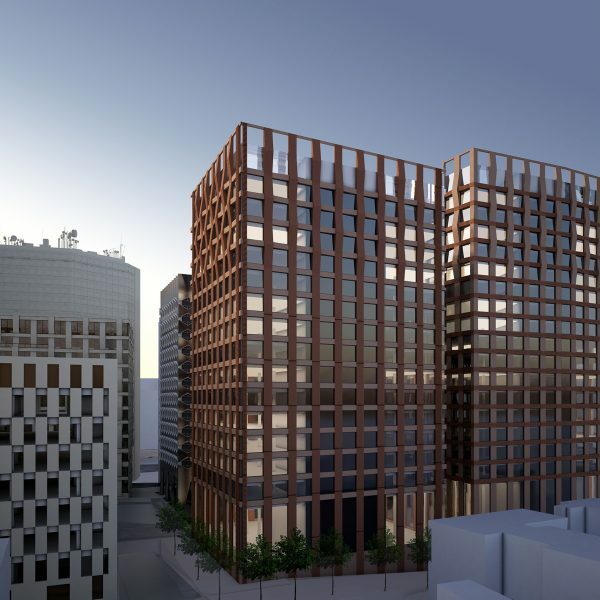 The building’s woven cladding pattern creates a distinctive façade with the overlapping masonry ‘ribbons’ colour-matched to the Portland Stone of the adjacent buildings. 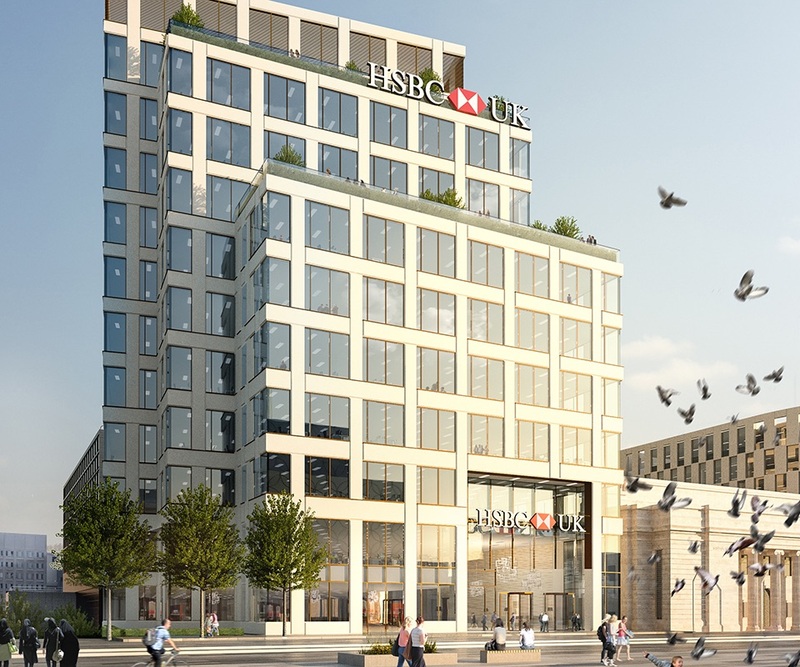 With planning consent in place, the building is due for completion and for HSBC UK to take occupancy in spring 2018.